Relax on a Quebec City dinner cruise as enjoy a night of fine dining and dancing. 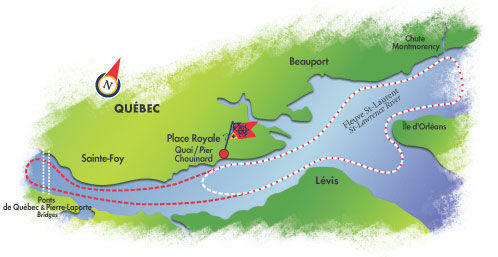 Dine on a delectable 5-course dinner with wine to match as you cruise past enchanting Old Quebec. Dance the night away as the stars come out, with the city as your backdrop.